Victorian Treaty Advancement CommissionThe independent organisation which will support Aboriginal communities to negotiate treaty has now been named ‘The First Peoples Assembly of Victoria’. The body will begin operating later this year – until now it’s been known as the Aboriginal Representative Body. For more information, see this interview with Treaty Commissioner, Jill Gallagher or check out the latest news from the Victorian Treaty advancement Commission. Ten previously forgotten Aboriginal names for 19th century sites and suburbs of Melbourne have been unearthed at the Melbourne Museum. A Yawuru man, Mick Dodson, has been appointed Treaty Commissioner in the Northern Territory. A coalition of peak Indigenous organisations are preparing to pressure state and federal governments for a greater share of Closing the Gap funding, following the release of the 2019 report card, which found only two of the seven targets were on track. Read more here. NAIDOC Award nominations are now open. Be quick, the final date to nominate is 29 March. Find out more here. Yolgnu rapper, Baker Boy, has announced a series of Australian tour dates and released a new music video “Cool as Hell”. Find out more here. Screen Australia’s Indigenous Department in collaboration with the New Zealand Film Commission is calling for submissions from Australian Aboriginal and Torres Strait Islander filmmakers to be part of the Cook 2020: Our Right of Reply drama collection. Find out more here. Did you know that every year AIATSIS (Australian Institute of Aboriginal and Torres Strait Islander Studies) produces a free poster to celebrate International Women’s Day? This year’s poster features Laurie Gawany Baymarraŋa (1917-2014), a senior Yolŋu leader from the Crocodile Islands, who helped preserve the endangered Yan-nhaŋu language. The artist behind the piece is Gill Warden. Find out more here. You can also read stirring pieces written for International Women’s Day by Indigenous women Antoinette Braybrook, here and Shellie Morris, here. Join thousands of people around Australia who are standing for health equality by holding a Close the Gap Day Activity. Learn more or register an event here or here. 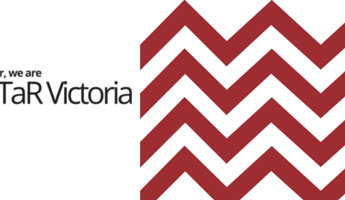 Run by Reconciliation Victoria, this forum will include address from guest speaker, Jill Gallagher, and phase two of Reconciliation Victoria’s Treaty Engagement Project. All are welcome. Find out more here.